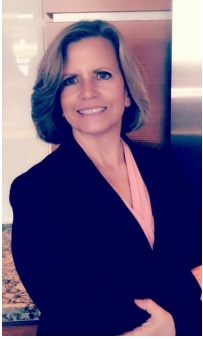 San José, Calif, 2018-Apr-17 — /Travel PR News/ — Judy M. Ross, A.A.E., has been promoted to Assistant Director of Aviation for Mineta San José International Airport (SJC) by Director of Aviation John Aitken after a national recruitment. Ross has served as Interim Assistant Director of Aviation since 2017 and Deputy Director of Aviation – Planning and Development at Silicon Valley’s airport since 2015. This experience has included managing the administrative functions of the Airport Director’s Office as well as the five Airport divisions: operations, facilities and engineering, finance, planning and development, and business development. “After a nationwide search, it is with great pleasure that I announce Judy Ross, A.A.E., has been promoted as SJC’s Assistant Director of Aviation,” said Aitken. “Judy has worked alongside me for the past 11 months, effectively managing many of the Airport’s day-today responsibilities with consistency and thoughtfulness. Her combined 28 years of experience at SJC and other successful U.S. airports will serve our Airport and community well as we continue to focus on passenger growth and facilities expansion,” he continued. Since joining SJC in 2015, Ross has played a key role on the management team in leading the design and construction activities of numerous safety, security, and customer service capital improvement projects totaling over $50M. These include modernizing and expanding the International Arrivals Building; adding boarding gates 29 and 30; and upgrading Airport security by raising the perimeter fenceline height and implementing the associated technology, and by building an automated, one-way exit lane system for travelers in Terminal B. “I have enjoyed the opportunity to work in partnership with City of San José elected and department leaders, our Airport Commission and community, and our Airport tenants, travelers and the SJC team to upgrade our facilities,” said Ross. “I am proud of the outcome of our combined efforts to offer modern facilities that meet the needs of our growing number of travelers and for which our community can be proud of. “I am excited to continue this positive momentum with our many partners and to support the Airport team as we continue to connect, serve and inspire our customers and each other to transform how Silicon Valley travels,” Ross continued. Judy earned a Master’s degree in Aviation Management from Embry-Riddle Aeronautical University, and a Bachelor’s degree in Business Administration from the University of North Dakota. She is also an Accredited Airport Executive through the American Association of Airport Executives. Additionally, she serves on the Board of Directors of the Southwest Chapter of AAAE, where she is also a Certified Airport Executive. A link to Ross’s photo is provided here. She will officially start in her new post on April 15, 2018. This entry was posted in Airlines, Airports, Travel, Travel Human Resources, Travel Management and tagged Judy M. Ross, Mineta San Jose International Airport. Bookmark the permalink.